Ahoy there me hearties! 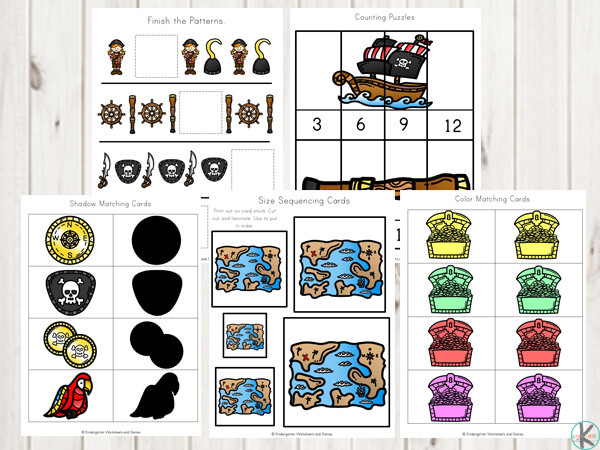 Get ready for a swashbuckling time with over 80 pages of Free Pirate Worksheets. 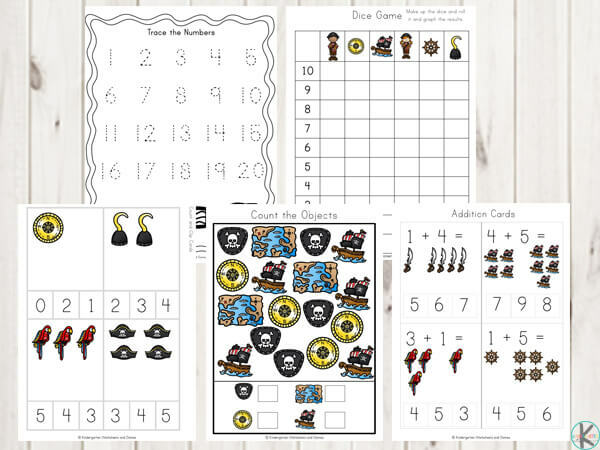 With so many math and literacy activities, children in preschool and kindergarten will be having so much fun that won’t realize they are learning. 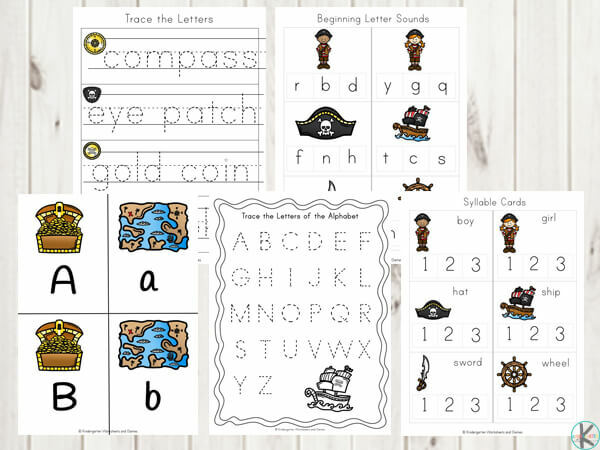 Letters Tracing Worksheets – Improve handwriting skills while learning to spell. Alphabet Letters Trace –Trace the uppercase and lowercase letters of the alphabet to help kids learn to form letters. 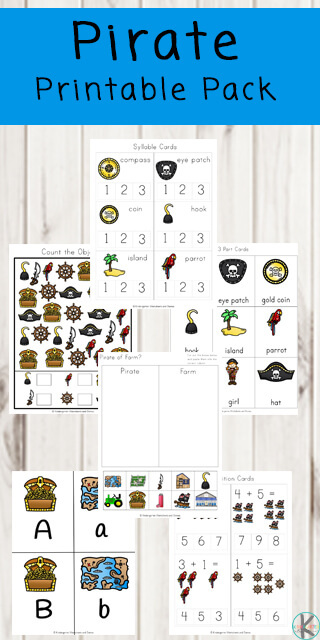 3 Part Cards – These pirate words can be used to match the words to the picture or in games such as memory. These cards can also be used together with the alphabet cards. using the alphabet cards to spell out the words. Counting Cards – Find the correct answer and use pegs, paperclips or pom poms to mark the answer. Pirate or Farm? –Cut and paste the answers in the correct column.